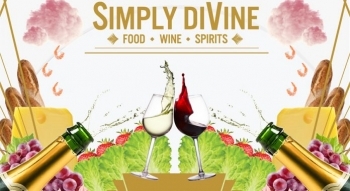 With 82 of L.A.’s most popular restaurants, wineries, spirit vendors, distilleries, and craft breweries participating, the Los Angeles LGBT Center’s 14th annual Simply diVine will be serving up at full capacity to guests on Saturday, April 27, from 6–9 p.m., at Hollywood Forever—the fascinating landmark best known as the final resting place to more of Hollywood’s founders and stars than anywhere else on Earth. All proceeds support the Center’s life-changing and life-saving programs and services. LA Blade - Pharmaceutical giant Gilead was hit with a lawsuit filed by 41 people from 12 states on April 11 who allege they suffered bone and/or kidney damage after taking Gilead’s tenofovir disoproxil fumarate, (TDF). The personal injury suit, filed in California Superior Court in Los Angeles, alleges the pharmaceutical company knew in 2001 that TDF was “highly toxic in the doses prescribed and risked permanent and possibly fatal damage to the kidneys and bones” —and that there was a safer alternative. “More and more plaintiffs are coming forward to tell their stories of how they have been harmed by Gilead’s practice of putting profits over patient health,” said Liza Brereton with HIV Litigation Attorneys. WEHO Times - The Wing, a club that started out as a women members only club, but has recently changed its policy to allow trans and nonbinary individuals, is coming to West Hollywood. 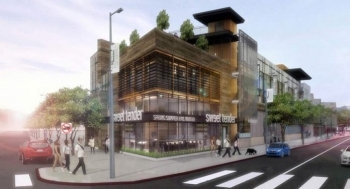 The women’s “mostly” co-working and community space is moving to 8550 Santa Monica Boulevard, the building currently under construction on the corner of Santa Monica Boulevard and N. West Knoll Drive, across the street from the Shake Shack and next to the Power Zone and Capital Drugs. WEHOville - What happens at Coachella doesn’t stay at Coachella, to the likely disappointment of Keith Anthony, a gay West Hollywood fitness trainer and member of the city’s Business License Commission. 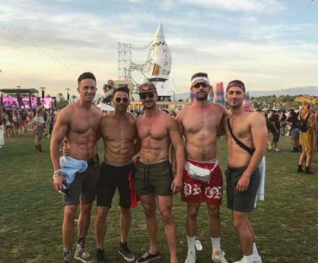 Anthony and his boyfriend, Tyler Tixier, were photographed hanging out at the desert music festival this past weekend with Aaron Schock, the former GOP congressman from Illinois who is infamous for his anti-gay voting record and alleged misuse of federal money.